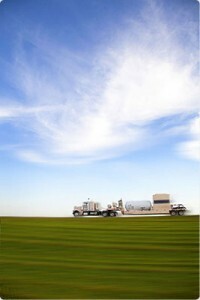 Our hydro-thermal heating units are fueled by propane or natural gas. McAda Drilling Fluids takes our Safety and Environmental responsibilities very seriously. We are committed to conducting business in a manner that protects and promotes the safety and health of our employees and those involved with our operations. We strive to create a working environment such that we cause no harm to people, and where we minimize our impact on the environment.We are dedicated to providing the appropriate training, safety programs, personal protective equipment, and a work environment that enables our employees to safely fulfill their responsibilities. Our employees have the right and the obligation to stop any job if health, safety, or environmental issues are not addressed. We believe that it is Management’s responsibility to provide a positive role model for our employees in creating a proactive approach toward preventing workplace accidents and injuries. We go to great lengths to provide the highest quality, environmentally responsible equipment. McAda equipment meets all operator safety requirements—and exceeds most. At McAda, we are committed to doing things the right way. It is our goal to sustain a level of Safety and Environmental Performance that will preserve the respect and confidence of our employees, customers and the communities where we work. We understand that we all share a responsibility for the environment.